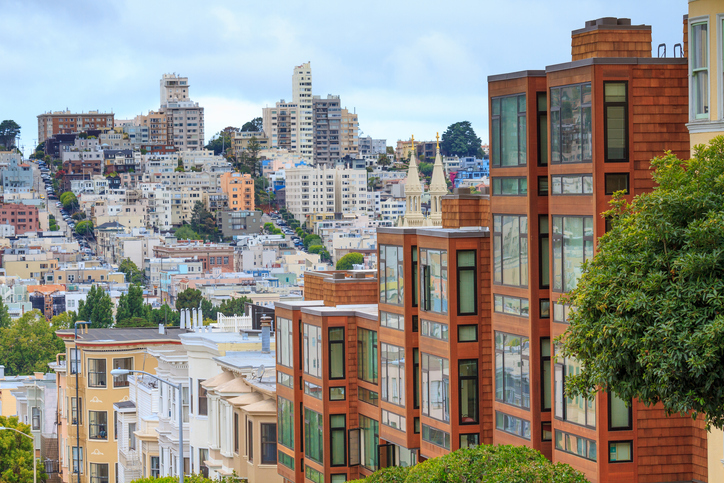 The high cost of housing in California’s Bay Area is has fueled the relocation of a disproportionate number of nonwhite residents, according to a study from the University of California Berkeley and the California Housing Partnership. The San Francisco Chronicle reports the new study covered tract-level census data in the nine Bay Area counties between 2000 and 2015, and the data pointed to the region’s 30 percent increase in median rent corresponded with a 28 percent decrease in low-income minority households. However, there was no significant change in the number of white households in the area. Even the Bay Area’s historically black neighborhoods—including San Francisco’s Bayview, East Oakland and East Palo Alto—saw an exodus of low-income black families, mostly to cities outside of the Bay Area. San Francisco’s Mission District lost low-income Latino families and Chinatown and South of Market lost low-income Asian households, but those demographics mostly relocated to other metros in the Bay Area.